Doing laundry, especially multiple loads, takes time. Sometimes a lot of time. TurboWash™ Technology helps to solve that problem by reducing wash times by 20 minutes per load. 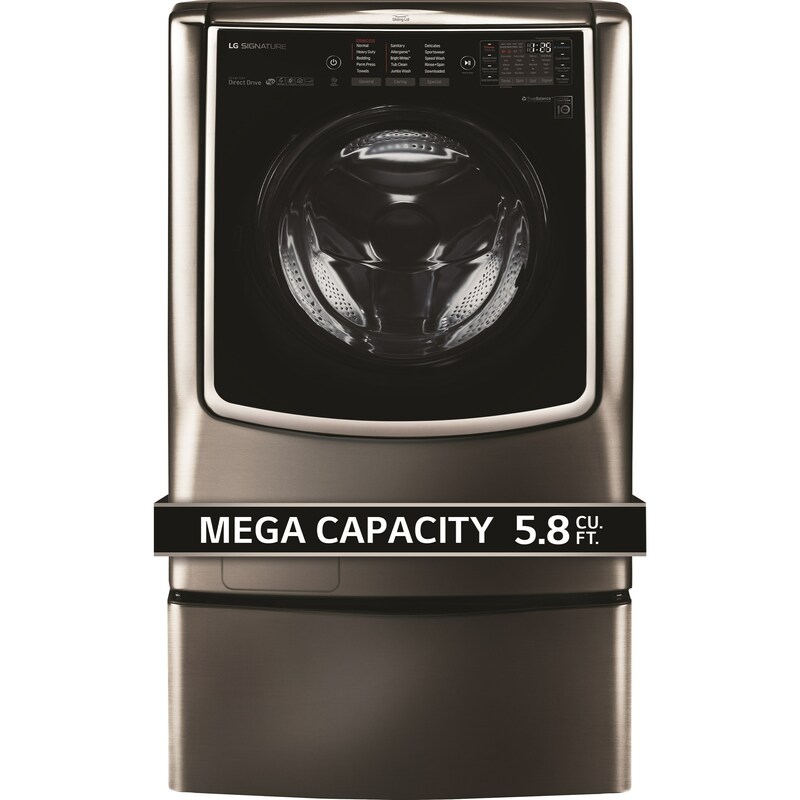 Powerful, high-pressure nozzles and rapid drum movements speeds allows the washer to clean your clothes with the same result as a standard wash.
A timeless expression of sophistication and color, black stainless steel elevates traditional stainless steel to a new level of elegance. 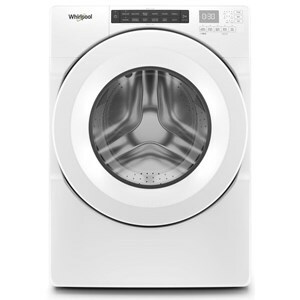 When your washer vibrates, at a minimum its annoying and at its worse it sounds like your washer might explode. TrueBalance™ Anti-Vibration is designed to minimize vibration for smooth, quiet performance even on the 2nd floor of your house. The Easy Loading TilTub™ allows for easy reach into the rear of the drum. 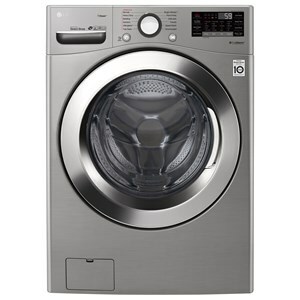 The SenseClean™ System is an intelligent fabric-care technology that Senses the weight and size of the load in order to determine the water-level and wash-time, then sets the machine to run automatically. 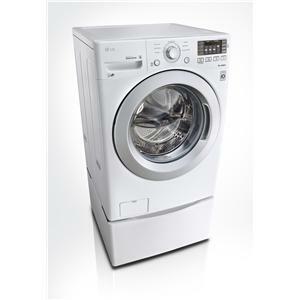 Washing with cold water saves money, but up until now it was not as effective at removing stains from clothing. 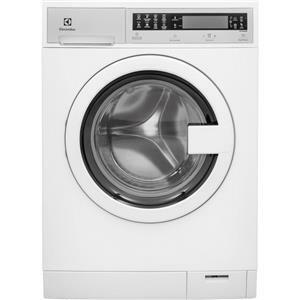 ColdWash™ technology uses cold water and enhanced washing motions to penetrate deep into fabrics and producing clean results. Added convince and control for those who live life on the go. 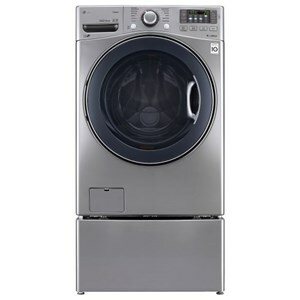 You can monitor your laundry remotely from your smartphone. 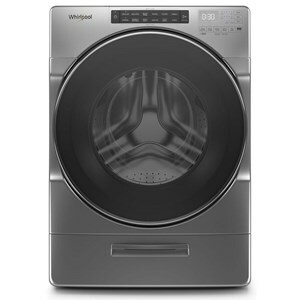 SmartThinQ™ allows you to receive notifications, download specialized wash cycles, check cycle status and turn off your machine. Products that are recognized as the Most Efficient of ENERGY STAR in 2016 help reduce greenhouse gas emissions by meeting rigorous energy efficiency performance levels set by the U.S. Environmental Protection Agency. 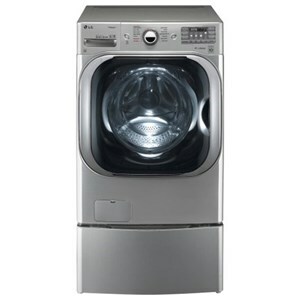 The Washers LG SIGNATURE: 5.8 cu. 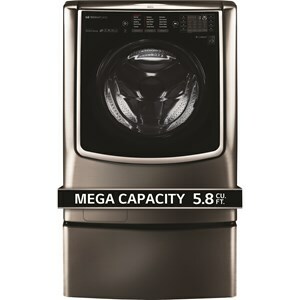 ft. Mega Capacity Washer by LG Appliances at Furniture and ApplianceMart in the Stevens Point, Rhinelander, Wausau, Green Bay, Wisconsin Rapids, Marshfield, East and West Madison, Wisconsin area. Product availability may vary. Contact us for the most current availability on this product.